Having parodied a soirée of iconic Hollywood blockbusters and comic book franchises, TT Fusion finds their creative freedom granted free reign in delivering LEGO City Undercover to Wii U. You play as Chase McCain, a likeable hero who’s recalled to LEGO City from exile to recapture criminal nemesis, Rex Fury. Having escaped Albatross Prison, Rex is now terrorising the city with his organised crime syndicate and the Mayor turns to you in her hour of need. 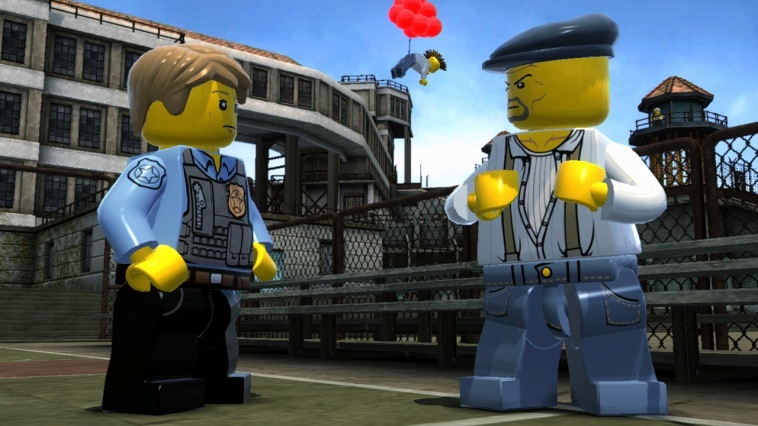 Having arrested the kingpin before, Chase is seen as the man that’ll dutifully see him back behind bars, aiding the police force whilst performing undercover jobs to inch him ever closer to locating the crook. From dimwitted partner Frank Honey to the comically argumentative Chan Chuang, LEGO City is a world brimming with personality and quirky one-liners. Whilst the game may not directly take inspiration from films in name, that doesn’t stop references appearing throughout with movie goers surely set to smirk when they spy moments plucked from Shawshank Redemption, The Matrix, and Dirty Harry among others. The game’s 70s inspired vibe and the audial landscape takes this further, evoking memories of classic cop shows of yesteryear with Starsky and Hutch LEGO-a-likes Studski and Clutch even making an appearance in a later mission. Whilst recent LEGO entries have seen increasingly expansive environments to explore, Undercover’s unified sandbox easily puts them to shame. From idyllic forests and farmland to bustling balloon-filled squares and Chinatown districts, LEGO City is as diverse as can be. Yet getting around can prove a chore, however, the game toing and froing you across lengthy distances at regular intervals as you progress the story’s chapters. Thankfully, with 110 vehicles waiting to be discovered, there’s plenty of vehicular variety at your disposal whether travelling by land, air or sea. Chase can commandeer such transport in the name of the law, a tap of the L Button seeing him sharply blast his whistle and wave his police badge around – stopping nearby traffic and allowing you to catch a ride. If you’re feeling especially lazy, you can also hop in the passenger seat of a taxi and indicate where you’d like to be taken, or use the train line to move between predetermined locations. Story levels are the usual LEGO affair, with humorous cutscenes blended with family-friendly puzzling that never becomes too much of a challenge. It’s disguises that differentiate the experience this time around, each granting Chase with special abilities that will allow him to tackle whatever obstacle he faces. Police outfits can analyse clues and make use of a grappling hook, Robbers can pry open locked doors, whereas Miners can place explosives and chisel rocks that block your path. Meanwhile, the Farmer can grow plants to scale walls, with their separate ‘Super Chicken glide’ ability also screaming of reference to The Legend of Zelda’s Cuckoos. Combat is largely entertaining, if mainly through the endlessly stylised animation that TT Fusion has adopted. Players employ the use of throws, counterattacks, grabs The Matrix-style kicks as they pummel enemies into submission. Once lying on the floor, you’re required to run over and handcuff them before they return to the fray. Between story levels, you’re relatively free to do as you please, with side missions also vying for your attention that includes time trials and vehicle thefts. In any case, there’s plenty to do and it’s entirely down to you as to how much of this additional content you’d like to dip into. Whilst retaining classic LEGO Studs to purchase characters, vehicles and Red Brick cheats, Undercover also introduces a new type of currency in the form of LEGO Bricks. These are used to complete Super Builds, colossal structures that can only be built at previously designated areas. Most take the form of constructing Call-in Points (which helicopter in selected vehicles for use), although you’ll also be able to create a ferry, dragon, and a bridge, to give but a few examples. These are a highlight, with players surely set to gaze in astonishment as they’re assembled before you. Wii U GamePad integration is top notch, an exemplary effort from the developer to truly prove just how well the console’s second screen can be utilised. Here it assumes the role of your in-game Communicator, keeping you in touch with key characters throughout the story, as well as predominantly providing a mini-map with which you can keep track of your route and surroundings. It also serves a greater purpose, with a multitude of functions that make full use of the gyroscope that’s housed within the controller. Criminal Scan allows you to locate hidden suspects, whereas the Data Scan sees you identify and mark collectable objects – albeit one at a time, annoyingly. You’ll later have access to an Audio Scanner, enabling you to eavesdrop on conversations, whilst a Camera mode grants you the opportunity to snap pictures on your travels to then share through Miiverse. Replay value has always been available in droves within previous games, and Undercover is no different. With Nintendo easter eggs hidden throughout the game (no spoilers! ), along with such a sizeable assortment of Red Bricks, Gold Bricks, disguises and vehicles to discover, this promises to occupy you for weeks. Whilst lengthy loading screens that permeate play were an initial concern, they’re few and far between to worry yourself too much about. Once you’ve loaded the open world expanse, the only time that they’ll return is when you shift into a story level or cutscene, the sandbox remaining load-free. However, it’s the inconsistency that lets the overall package down – niggling bugs that detracting from the experience. The biggest worry being the game’s frame rate, which never seems to settle regardless of what you’re doing around LEGO City. Undercover is clearly an ambitious project, yet either the hardware or engine struggle to smoothen the ride. Platforming is also marred by poor camera implementation in places, players regularly scaling taller buildings that, with one wrong move, can see you immediately tumbling from. With no deaths from dizzy heights this time around, you have to repeat your efforts at multiple intervals. 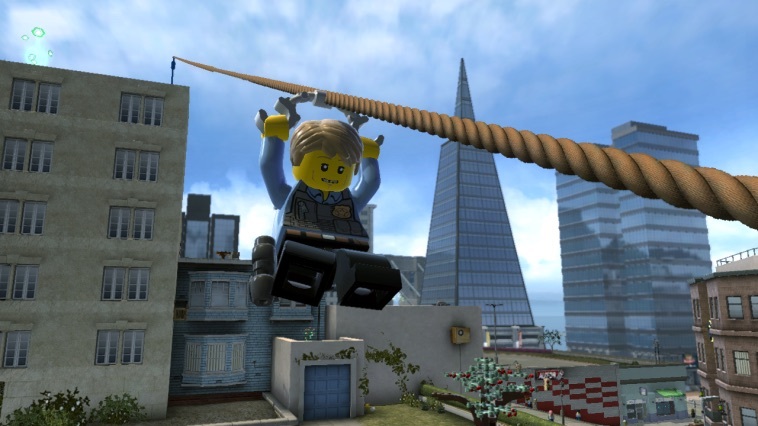 As an aside, the lack of multiplayer, for whatever reason, is also a glaring omission considering how much of a staple it has become for the LEGO series. Whilst the Wii U GamePad is understandably a focus here, surely another player could’ve hopped in during story levels, even if the open world proved too difficult? 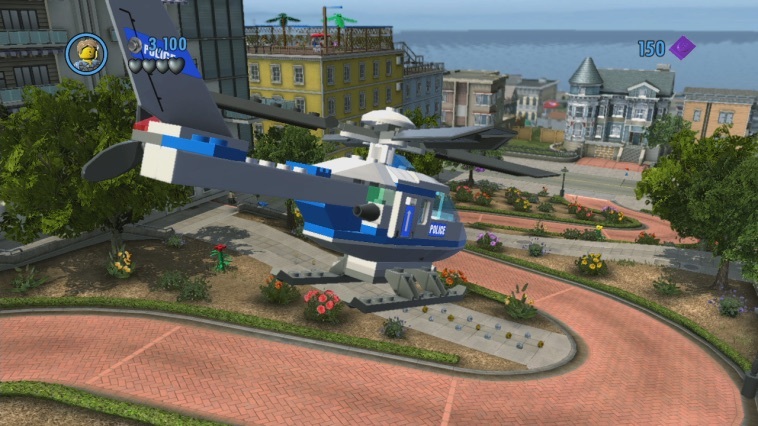 Regardless, LEGO City Undercover signals a bold new direction for TT Fusion’s creativity. It’s the endless wit and charm that makes this Wii U exclusive what it is, and we certainly hope that with such a well-laid foundation in place, Nintendo will seek to invest a few more LEGO Bricks to build upon it in future.